Residents are taxed on their worldwide income. Married couples are assessed and taxed separately; joint taxation is not permitted. Income is classified into the following categories: (1) income from independent activities, including royalties, (2) investment income, including capital gains and dividends, (3) rental income, (4) pension income, (5) agricultural income, (6) income from prizes and gambling, (7) sale of immovable property, and (8) other income. Income is aggregated and taxed at a standard flat rate of 16%. Rental income earned by residents is taxed at a flat rate of 16%. A fixed deduction of 40% of the gross income is allowed to account for income-generating expenses. Taxpayers may also opt for itemized deductions of all expenses. No tax is levied on the capital gains realized by individuals from selling real property; however transfer tax is levied on the transfer of immovable property in Romania. 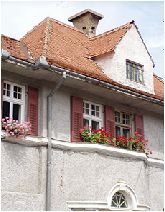 Individuals who sell Romanian property are liable to pay transfer tax, levied on the sales proceeds. The applicable tax rate depends on how long the property was held by the owner and and the property value. Property tax is levied on buildings and the applicable tax rate varies, depending on the building's classification and property value. Property tax on residential buildings ranges from 0.08% to 0.20%, and property tax on nonresidential buildings ranges from 0.20% to 1.30%. A local tax is levied on land in located in urban areas in Romania, payable by the owner. The tax rate for urban land ranges from RON0.052 (€0.01) and RON89.21 (€20) per square metre for land in urban areas. The tax rate for land outside urban areas ranges from RON0.01 (€0.002) and RON0.48 (€0.11) per square metre.